Defective products can result in many different types of personal injuries, and sometimes those injuries can be debilitating. Two recent product recalls, both products manufactured by Harbor Freight Tools, pose a risk of burn injury to users. Consumers should feel confident purchasing products without worrying about whether those products will cause serious harm due to design or manufacturing defects. Yet defective products end up on the market, and consumers get hurt. We want to say more about these recent recalls, burn injury risks, and ways of seeking compensation when a dangerous product causes harm. A recent article from Markets Insider reported that a Harbor Freight Tools flashlight had been recalled due to a safety defect. The company’s 80 Lumen 12-volt rechargeable flashlights are at risk of overheating while they are charging, and causing burn injuries to consumers. The article emphasizes that consumer should stop using the flashlights immediately and should return them to Harbor Freight Tools for a refund. The SKU number on affected flashlights is 64109. Thus far, Harbor Freight Tools has received two reports of the flashlights overheating. About 500,000 products are subject to the recall, and all of those items were sold at Harbor Freight Tools stores across the country. Residents of the West Palm Beach and Boca Raton areas should know that there are several Harbor Freight Tools stores in the area where they could have purchased these defective products. Yet these flashlights are not the only Harbor Freight Tools products that have recently been subject to a recall due to burn injury risk. To be sure, the U.S. Consumer Product Safety Commission (CPSC) released information about a recall of Harbor Freight Tools propane torches, which also pose a burn risk to users. According to the recall, the problem with the Greenwood propane torch is that “the trigger on the torches that engages the flame can fail to disengage when the trigger is no longer pressed.” To put it another way, the defect can make it impossible for the user to put out a flame. About 150,000 products are subject to this recall. Consumers who own this product should not use it and should contact Harbor Freight Tools for a replacement. 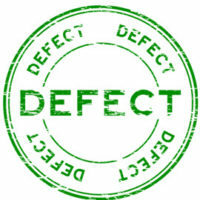 Marketing defects, which refer to situations in which the company selling the product failed to provide consumers with warnings about risks connected to using the product. Were you injured by a defective product? You may be able to seek financial compensation by filing a personal injury lawsuit, and a West Palm Beach product liability attorney can help. Contact Lesser Lesser Landy & Smith PLLC today.